The Central Intelligence Agency (CIA) was established on 18 September, 1947, with the signing of the National Security Act of 1947 by President Truman. The CIA preempts threats to the United States by gathering, processing and analyzing national security information from all over the world through the use of human intelligence. A civilian foreign intelligence service that works under the federal government, the CIA is the only agency which is legally empowered to carry out covert actions oversees at the behest of the President of the United States. The agency hires year round from a diverse pool of US citizens who fulfill its basic requirements. If you are interested in joining the agency, then it is advised that you visit its official website and find out the relevant information in more detail. As mentioned earlier, a CIA agent gathers, processes and analyses national security information from all over the world. The agency hires from a diverse group of US nationals. The duties that you’ll perform as a CIA agent will depend upon your job title and description. For example, the duties of an accountant working as a CIA agent will be vastly different from those agents working as cyber security analysts or those working in the clandestine field. In order to find out more on the present vacancies, job titles, hiring requirements and salary related information, it is advised that you visit “Career Opportunities” page of CIA’s official website. The average salary of CIA agent is range between $54,308 to $155,858 , but always depend upon job title. The CIA offers competitive salaries and individuals may earn higher starting salaries depending upon their experience level. The following statistics represent starting salary amount and are taken from the agency’s official website. This is not an exhaustive list of jobs available with the agency. CIA agents are entitled to annual leaves, holidays, child care, flexible work hours, services for CIA agents’ spouses not employed by the agency, etc. The agency provides health insurance and fitness and recreation programs. CIA agents can avail life insurance, retirement plans, Thrift Savings Plan (TSP), Student Loan Repayment Assistance Program (SLRAP), Voluntary Investment Plan, etc. For career advancement, CIA agents are offered a variety of training programs. Fresh recruits that speak a language other than English may be offered significant hiring bonus. Those CIA agents that learn a new language after joining the agency may also be offered monetary incentives. Let’s assume that you want to work as a Political Analyst at the CIA. In order to apply for this position, simply go to “Career Opportunities” page and then click on “Browse Jobs by Category.” Under the “Analysis” heading, click on “Political Analyst.” Once there, simply click on “How to Apply” and follow the guidelines. 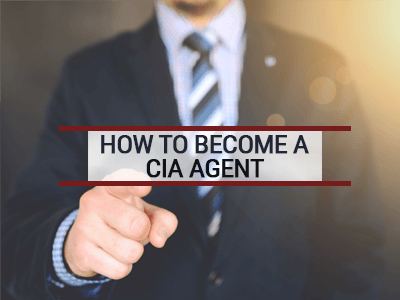 Applying to become a CIA agent is a lengthy process where an application may take as little as two months or over a year, so be prepared. If you are interested in becoming a CIA agent then you need to know the job title you are interested in applying. For that, visit the agency’s official website and browse under “Career Opportunities” page. There you will find a long list of job titles under five main categories, namely Analysis, Clandestine, Foreign Language, STEM and Enterprise & Support. Once you have decided on the job title, simply click on it to find out further information on job duties, qualifications, how to apply and salary. If you are unsure which job to apply for then click on “Job Fit Tool” on the agency’s official website. This tool will help you narrow down your choices. Though not all, but most jobs at the CIA require at least a bachelor’s degree from an accredited institution. All candidates must be US nationals, without exception. What Information Does the CIA Online Application Ask For? Select the job title you are interested in applying to. If you already know the position you are interested in applying, you can skip this step. You can apply for up to four positions. Begin the “Application Package” which will include an application and Personnel Evaluation Form. Once you’ve completed the entire package, save and print your forms. You may need them for reference later. You can then upload your resume, transcripts and writing samples (if your position requires these). Once done, submit your application package and you will get an acknowledgment message on your screen. If you are a suitable match, then CIA recruiters will contact you within 45 days either by phone or email. You may then be asked to appear for a thorough background investigation, which will also include your thorough physical and mental examination. The agency official website doesn’t provide any more information on this matter. Do not apply for more than four jobs at a time. It can delay your application process. Second, conduct in-depth research on the position you are interested in applying. If it requires additional documents, then be ready to upload them during the completion of your online application process.